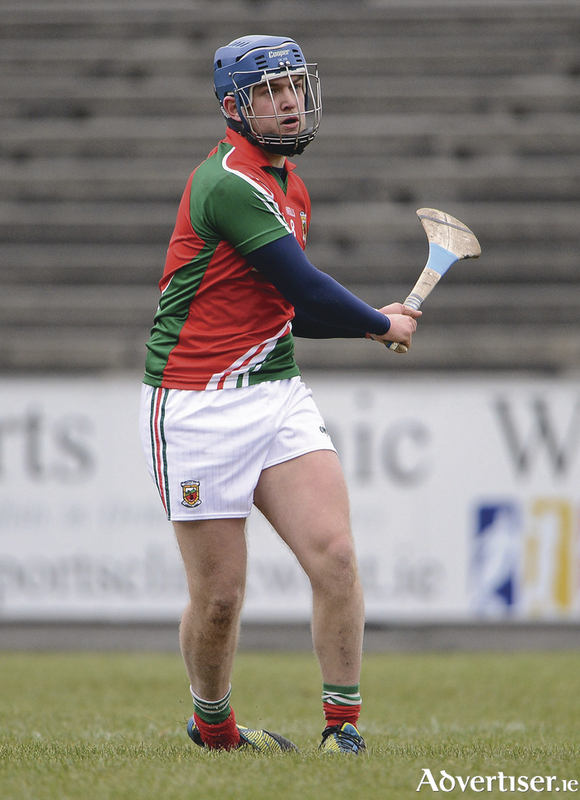 An experimental Mayo side got their Connacht GAA Senior Hurling League campaign off to a winning start with this twelve point win over an NUIG side in the Connacht GAA Centre in Bekan on Monday night. First half Mayo goals from Kenny Feeney, Ciaran Charlton and Corey Scahill set up the platform for this Mayo victory - which the understrength students struggled to recover from. Scahill (3 ) and Charlton again registered the points for Mayo to give them a comfortable half time lead on a score line of 3-4 to 0-6. The second half saw NUIG come more into the game as Mayo sat back on their lead. However, Mayo’s fourth and final goal came from substitute Kieran McDermott as he pounced on a cross-field ball from David Harrison. This put an end to any NUIG revival, with Eoin Collins, Corey Scahill and Kenny Feeney (2 ) popping over late Mayo points to leave 12 points between the sides on the final whistle. This Mayo side now face Roscommon on Saturday at 2pm in Athleague. Their National Hurling League campaign begins on Sunday, February 14 against Donegal. Mayo: Donal O'Brien (Ballyhaunis ); Adrian Brennan (Ballyhaunis ), Pa Connell (Castlegar ), Shane Morley (Tooreen ); Kieran Kiely (Ballyhaunis ), Liam Casey (Kilmaley ), Brian Hunt (Ballyhaunis ); Darren McTigue (Castlebar ), Eoin Collins (0-1 ) (Ballyhaunis ); Ciaran Charlton (1-1 ) (Tooreen ), Kenny Feeney (1-2 ) (Tooreen ), Sean Mulroy (Castlebar ); David Harrison (Tooreen ), Sean Regan (Tooreen ), Corey Scahill (1-5, 3f ) (Castlebar ). Subs: Steven Hunt (Tooreen ), Ciaran McDermott (0-1 ) (Ballyhaunis ), Davog Freyne (Tooreen ), John Cotter (Castlebar ).